Lead by a highly energetic personality Mr. Bittu Sahgal, Whome i personally met and found that he eats, drinks, smells and sleeps with Mother Nature. The core of his experience says if human needs to survive, he needs to be blessed with abundance of nature and for same need to give their efforts all prior. In association with Aircel, the ‘Save Our Tiger’ mission is to save our black strapped kings from pouncing and let them grow alone. They are the core of human surveillance if one understands, Along with Bittuji their is a team working and putting all their efforts to create awareness about saving tigers, saving earth and balancing with nature. Few of the leaders in that group is Ph.D Mr. Anish Andheria (President of WCT), Raj Krishnani (Head Operations), Diya Mirza (We all know her), Poonam and more others. The Core message is “If Their are Tigers in Jungle (just like our Borivali National Park), The Indications are that Nature is working with a Balanced Act. 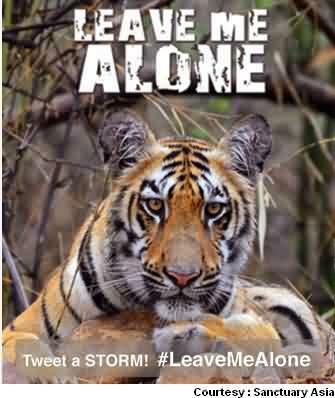 The Cycle of Life Dependencies on each other still exist, And ‘Human Can Survive Around That Place’ and in this case our Mumbai.” But their is a difference between those Wild TIGERS and We Humans, We Say Lets Stay Together and Have Fun, While Tigers says “LIVE ME ALONE” and that’s the new mission of Sanctuary Asia. We are blessed to have all facilities around in city, But as usual and generally we hear ‘WE DONT HAVE TIME TO DO SOMETHING ABOUT TIGERS’, and that’s fine but can you just do 1 single things which hardly takes a minute of your time ? SHARE & CREATE Awareness. We do share Jokes and Fun stuff, But this is for our own and beloved life and also for our own Children and future. Address : 146/Pragati Industrial Estate, N M Joshi marg, Lower Parel (East), Mumbai – 400011. Contact : +91-22-23016848 / 49 and 50. As said, One of the dashing leaders of Sanctuary Asia Team is Mr. Anish Andheria, President of WCT located in fort, Mumbai. His knowledge about Wildlife, Photography is beyond once capacity to listen in one session. And that said it all, this organization is equally into education, help and spreading awareness about Wildlife, Nature and Environment, Fight against tiger pouching, empowering nature, balancing environment and more. One more active group working towards anti-poaching for wildlife and active educationist group when it comes to mother nature and wildlife, Also involved in educating about formation of legal policies related to wild and nature conservation. Address: 9, St James’ Court, Netaji Subhash Road, Mumbai – 400020. Address : Kalbadevi Municipal School, #54, 2nd floor, Mumbai – 400002. 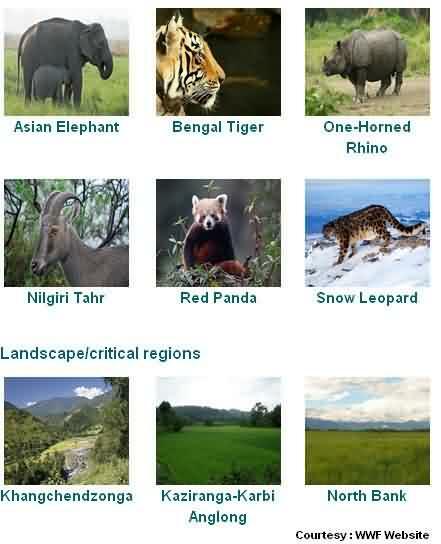 An very active NGO focused on nature and wildlife education and many things related. Along with activities like Nature trials, Courses offered Online, Library and more they have weekly, monthly educational events organized around India and at locations like National Park in Mumbai. Also see : BNHS CEC – Conservation Education Centre of Mumbai. As many knows, Its one of the leading NGO when it comes to Mumbai Nature trials and field trips to many of those sanctuaries around India, from which Sanjay Gandhi National Park being one and the only huge wildlife park of Mumbai. WWF has been connected to many schools and colleges via its nature clubs idea and also an active organization to keep city green and clean. Address : National Insurance Building, 204/2nd Floor, Dr. D N Road, Fort, Mumbai – 400001. Since 1961-66, this voluntary organization works primarily towards rural development along with other activities in Mumbai like Relief and Rehabilitation, Education and Health Care, Organic Farming, Women Empowerment and Youth Mobilization which shows a green Mumbai support too. Address : Yusuf Meherally Centre National House, 6, Tuloch Road, Apollo Bunder, Mumbai – 400039. YUVA ( Youth for Unity and Voluntary Action ) is an Organization fighting for and creating awareness at Urban and Rural areas, educating & supporting poor villagers to fight against inequalities and creating awareness about individual rights for education, power, energy and water, nutrition and more.. Address : 52/53, Nare Park High School, Opposite Nare Park Municipal Ground, Parel, Mumbai – 400012. This NGO gives its combined efforts which finally leads to a healthy nature and wildlife via its work is towards activities like farming and agriculture related. One of the best organizations to contact when it comes to any small big issues or education related to developing agro industries, health and nutrition, water management, animal husbandry, rabbit farming to list just few of its activities. Address : Vakola Municipal School – Ground Floor, Near Vakola Bridge, Santacruz (East), Mumbai – 400055. 5 Main activities when it comes to Stray Dogs which WSD carries are Education and Awareness programs, Adoption, Mass Sterilization, Rabies Eradication and Health care related to Dogs. 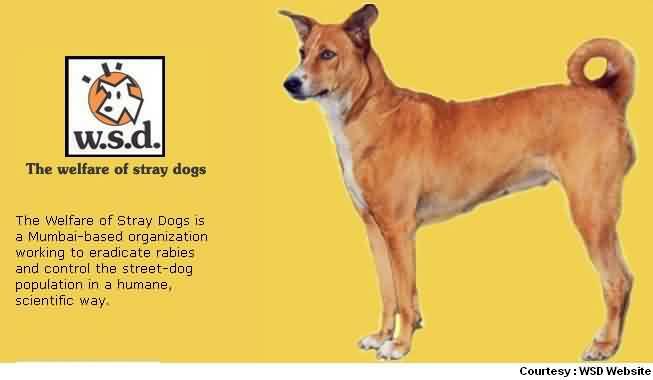 WSD works with Mumbai Municipal Corporation for stray dog related activities and also carry out education related programs for people awareness towards stray dogs, nature and wildlife balancing. Address : C/o Akanksha, C-Voltas House, T B Kadam Marg, Chinchpokli, Mumbai – 400011. Also For Reference : Mumbai Pet Guide, BSPCA Pet Care Mumbai. One of the biggest and leading organization when it comes to saving animals saving nature and humanity, PETA works around world to educate individuals and those policy makers about Nature, Wildlife and the effects on human habitations. They educate and support causes related to save animals and promotes not using animal products for luxury and experiments etc. Registered under Animal Welfare Board of India, Ahimsa works in support of Stray dogs and any other animals related. It also gives its support by providing shelters for pets and those left strays. Operating actively from Mumbai suburb station called MALAD, their helplines as mentioned below can be called once you find any situation. Address : Malad Cattle Pound, Kanchpada, Evershine Nagar, Off Link Road, Near Movie Times Cinema, Malad (West). We don’t have much information about TREES, yet as name describes, this organization seems working towards plants and animals, indirectly towards mother nature. We will like to know more about this South Mumbai NGO via your comments and email if you have any more information about same. Address : 2/Ferena, Opposite Fariyas Hotel, Colaba, Mumbai – 400005. Another NGO showing love towards nature, environment and overall Eco-system by promoting and educating about tree conservation, planting in Mumbai with helping hands with BMC, Monitor and Documents the current status of trees in city and more.. Currently we don’t have much information about their activities too. Comments and your knowledge is highly appreciated. Address : Union Cooperative Insurance Building, 3rd floor, 23, Sir P.M Road, Fort, Mumbai – 400001. An active and one of the rare in city, Mumbai’s Reef Watch is a marine conservation organization targets to solve marine problems and balance the ecosystem their inside. They do conduct training and education events and seminar on related topics for schools, forest departments and other organization by showing support and educating them on underwater issues, pollutions and how it affects the Eco-system and humanity. When it comes to environment conservation, Marine life is equally important yet not many know about the underlying issues. Such NGO’s comes to picture with their efforts and hard work to support and save city. Address : Reef Watch Marine Conservation, Priyanka Building, Ground Floor, 50 St Paul’s Road, Bandra (West), Mumbai 400050. Creating awareness about environmental issues like how the use of plastic bags can hurt nature and environments around, How polluting nature welcomes havoc like flood and other. They also work towards helping individual and homeless people. Via library they have and with direct contact, Guiding and educating city children in early age is what they do to bring up the healthy mindset towards wildlife, nature and related. Address : Kherwadi Municipal School, Kherwadi Road, Bandra (East), Mumbai – 400051. One of those NGO’s who works at base level that can save the over all environment from getting polluted. Right from promoting and educating about organic farming to promoting pollution free vehicles to waste management to list the few. CAI in Mumbai also works hand to hand with Municipal corporation of Greater Mumbai for such and other projects like Green Mumbai and more. Address : 16/Sadguru Apartments, French Bridge Road, Opposite Metro Motors, Opera House, Mumbai – 400007. 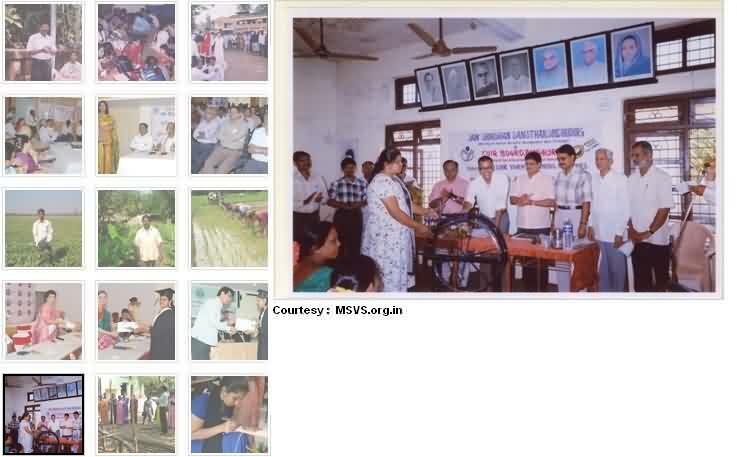 NSCCI belives that to keep city clean one needs to educate the youth and the children of cities. With this motive of education as the primary tool for getting blessing from mother nature, National Society for Clean Cities works towards various educational activities in Mumbai city and outside to literate and make people understand how we need to be hand in hand with environment to keep the Eco-balanced. Activities like Balwadies (Preschool Education), Special Environmental Teaching, Health and Nutrition program, Recreation Importance, Medical Centres programs, Adult literacy and Sponsorship programs through creative art centre and children library, they help Mumbai to understand wildlife, Animals, Strays which together builds the Eco-System. They also arrange skill oriented courses at various part of cities. Address : 590, Ali Yavar Jung Marg, Bandra (East), Mumbai – 400051. As the name says this organization focus on educating and empowering toxic less life. That covers every single product and activities in our daily life that creates toxic which is harmful to humans and nature which includes wildlife and complete Eco-system. 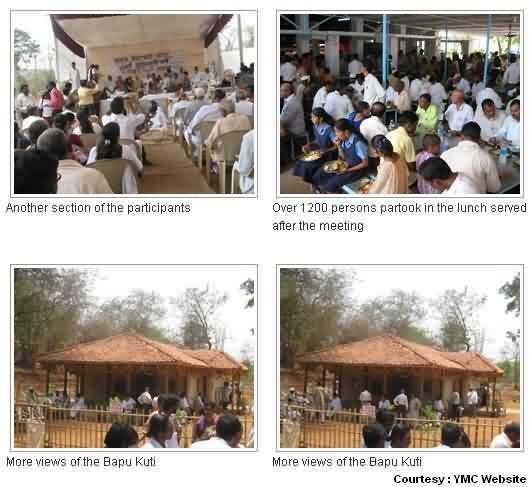 So is this unique NGO of Mumbai in picture taking care and educating on activities related. Old Office Address : 4th Floor, CVOD Jain School, 84 Samuel Street, Dongri, Mumbai – 400 009. (Now Offices in Delhi and Kolkatta), Check online. Address : Vazirani Villa, Scheme No. 42, Khan Abdul Gaffar Khan Road, Worli Sea Face, Mumbai – 400025. Above were few of the NGO activists of Mumbai, Request to kindly list others which you also know (Via Comments Below).